The PLACE Programme and, before PLACE, our earlier home-education groups over a time-span of some 31 years (The PLACE Project, FSES-HE, BUSHE, BHE, Bedford Education Otherwise and Bedfordshire Education Otherwise), have all relied on the efforts and goodwill of parents in our group in order to operate smoothly and to give all of our PLACE children the best possible educational opportunities and experiences we can muster. Mutual support, cooperative organisation of outings and activities and sharing of tasks, resources and ideas have always been fundamental to our PLACE home-education programmes, past and present. Please see the PLACE Committee Leaflet for a more detailed look at the work of the committee. If any PLACE parents, youngsters or tutors have a great suggestion, please print a copy of the form below (a hard copy is available from 190 Putnoe St) and drop it into the suggestion box next to the PLACE office. Home-education organiser in Bedfordshire since 1987; Bedfordshire Co-ordinator Education Otherwise for over fourteen years; Education Otherwise member since 1987; of HEAS since its inception; founder/Chairman Bedford Home Educators; PLACE Programme co-ordinator since the link with PLACE’s partner school/LA was first established. Home educated three of her children, two of whom were able to register with PLACE for GCSE support. 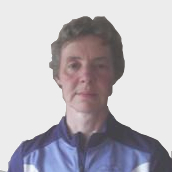 Marian Vaughan has consistently been elected by PLACE families as Committee Treasurer since Bedford Home Educators was first established in 1999. All meetings are at the PLACE centre , 190 Putnoe Street. Please note that agenda items must be submitted to the secretary at least a week in advance of the meeting.